It's a two-fer! 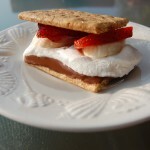 Banana Split and S'mores combine to make one terrific dessert! Break each graham cracker in half along perforation to form 2 squares. Place 12 of the squares on a flat work surface. Layer a piece of chocolate and 2 marshmallow halves on each cracker. 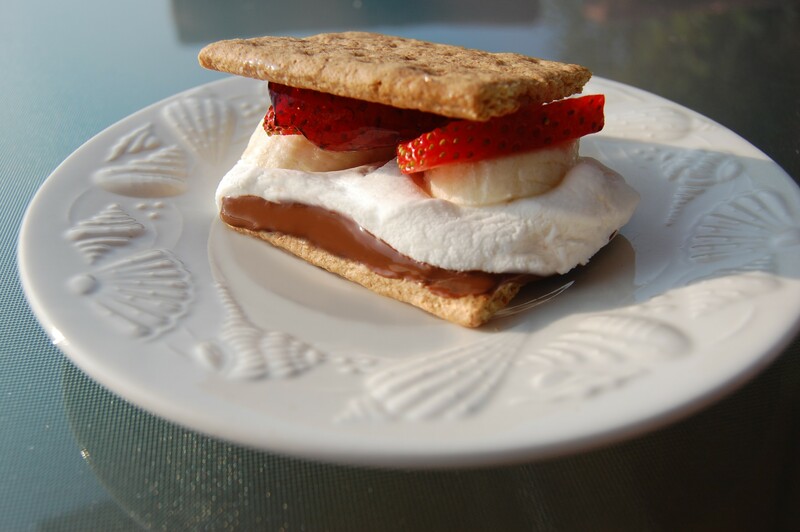 In batches of 4, place them on a microwave-safe plate and microwave for 15 seconds, until marshmallows puff up. Place a few strawberry slices and a banana slice on top of each square. Spread 1 teaspoon of preserves on one side of each remaining graham cracker and place, preserve-side down, over fruit. Press down gently; serve immediately.